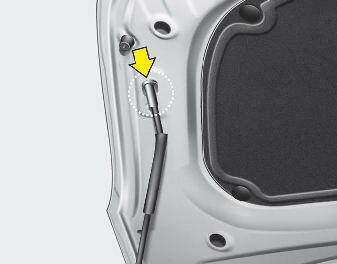 1.Pull the release lever to unlatch the hood. The hood should pop open slightly. 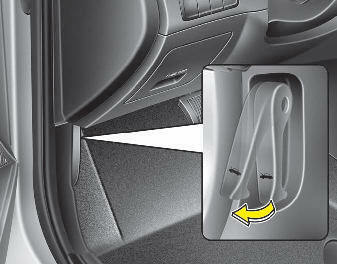 Open the hood after turning off the engine on a flat surface, shifting the shift lever to the P(Park) position for automatic transaxle and to the 1st(First) gear or R(Reverse) for manual transaxle, and setting the parking brake. 3.Pull out the support rod from the engine room. 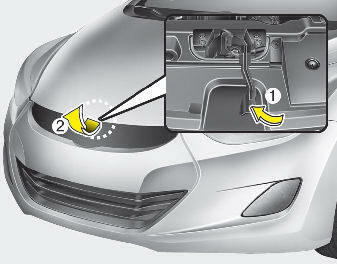 4.Hold the hood open with the support rod. Grasp the support rod in the area wrapped in rubber. The rubber will help prevent you from being burned by hot metal when the engine is hot.